Maybe you often have these trouble:1.When guest come in,you say"welcome" everyday or you don't want to say anyword. 2.Failed to know guest who outside the door when we are in indoor in time. 3.One person is tired to look at the shop, take a nap at noon, the guest come in but you don't know. 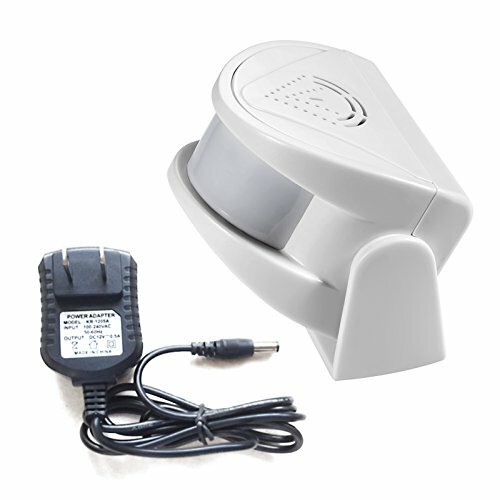 The KERUI M5 Infrared Door Detector Alarm System can be your best choice. 2.Integrating a variety of functions,welcome,wireless doorbell ,guard defence and so on. Please avoid the product installed in the rain or long time direct sunshine,strong magnetic,heavy cold and hot air place. If you have any question or other needs,please email our customer service fuers.csc01@outlook.com,we will give you professional reply in time at our work time 6PM~4AM PST,thanks.